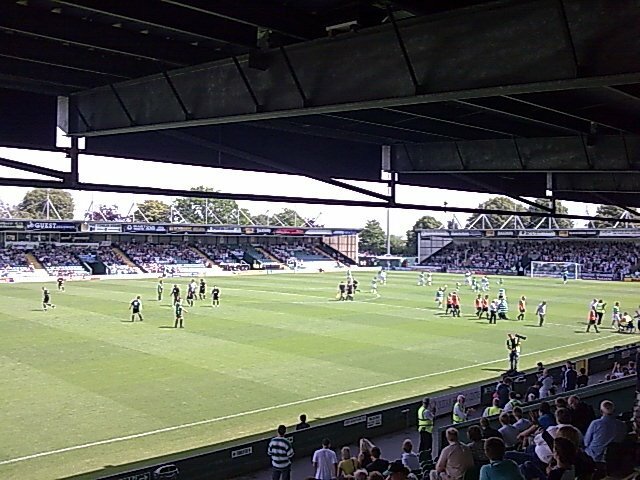 YEOVIL PREVIEW – will the tide turn? You can say what you like about Owen Coyle and his ‘Bolton-style football’, but you can’t deny that he is building a team that is growing match-by-match into a highly competitive outfit. They are physically and mentally determined and have the ability to grind out results . It is not pretty, but if it gets the results Latics need to get back up into the Premier League then few supporters will complain. Last year Latics conceded fifteen headed goals – more than any other in the Premier League. But that will not happen this year with big central defenders like Leon Barnett, Thomas Rogne and Ryan Shotton around. Moreover the trio pose a danger in the opposition penalty box – Barnett has already scored three, Shotton also has one too and Rogne has been unlucky to be denied by the woodwork. Add to them good headers of the ball like Emmerson Boyce, Grant Holt and Chris McCann and you can see why Latics are dangerous from set pieces. Wigan Athletic have never played Yeovil before and now is a good time to play them as they are bottom of the Championship table. What better chance for Latics to pick up three points? Coyle will rotate his squad following the defeat at Kazan. Thankfully Emmerson Boyce will return at right back. His passing skills were missed in Russia where Ryan Shotton had a miserable 57% pass completion rate. Shotton is much better at centre back and he will compete with Thomas Rogne for a place in today’s lineup. James Perch will move back into the back four, where he has provided defensive stability in the problematic left back position. Midfield is not his best position. Coyle will have another difficult decision in who to play in midfield. Roger Espinoza was the ‘Man of the Match’ in Kazan and deserves another outing. He will have to compete with James McArthur, Chris McCann and Ben Watson for a place. Up front Coyle might well choose the more mobile Marc-Antoine Fortune to start, with Grant Holt coming on later as an impact player. This being an away match that is very ‘winnable’ he could well go for two wingers, rather than use Jordi Gomez on the right. Marc Albrighton is on loan for 28 days and Coyle will need to give him ample opportunity soon if he is to assess the young Brummie with a view to permanent signing. Albrighton could line up on the right, with Callum McManaman on the left. Latics have so far been unlucky with shots and headers hitting the woodwork on too many occasions. The tide is due to turn some time. It could well happen today.